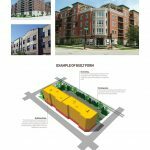 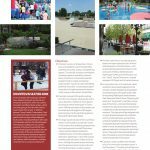 Despite recent events that have contributed to the decline of the general area, Downtown Carbondale has seen renewed interest in development and investment. 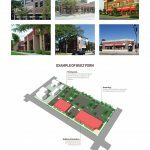 Building on recent momentum, the City contracted Houseal Lavigne Associates to create a Master Plan to guide the future of the Downtown that serves as the regional center of southern Illinois and is home to Southern Illinois University and Southern Illinois Healthcare’s Memorial Hospital. 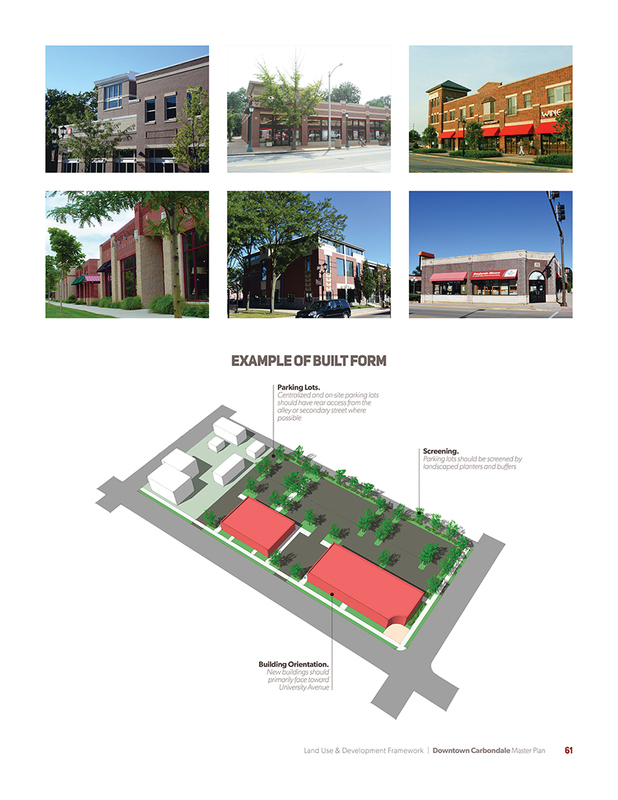 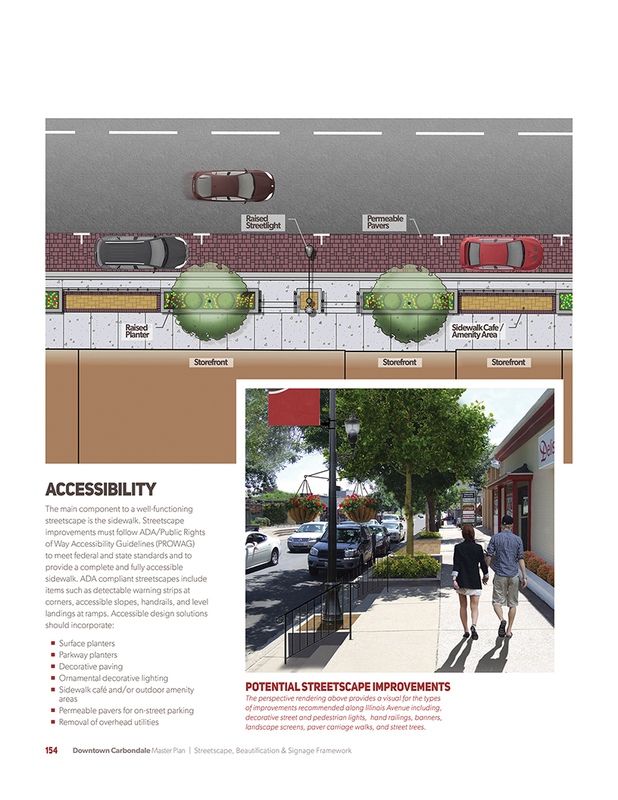 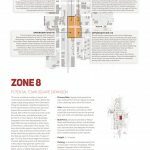 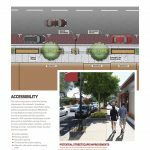 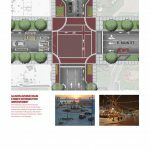 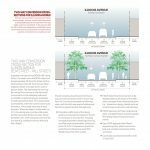 The Downtown Carbondale Master Plan presents a community vision for Downtown over the next 10 years, outlining specific recommendations and strategies to help achieve the vision established by the community and the Downtown Advisory Committee (DAC). 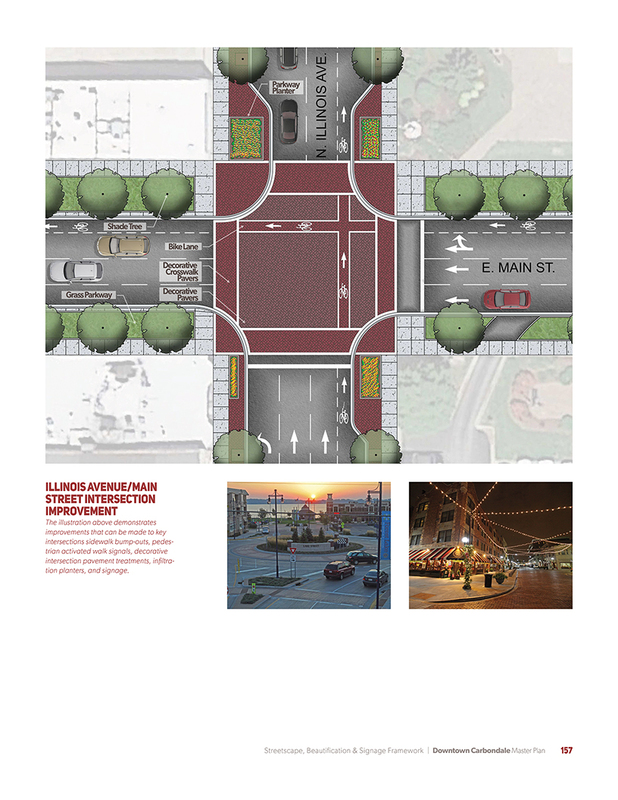 The Master Plan process included extensive public outreach that engaged nearly 500 members of the community, including residents, business owners, stakeholders, DAC members, students, and more. 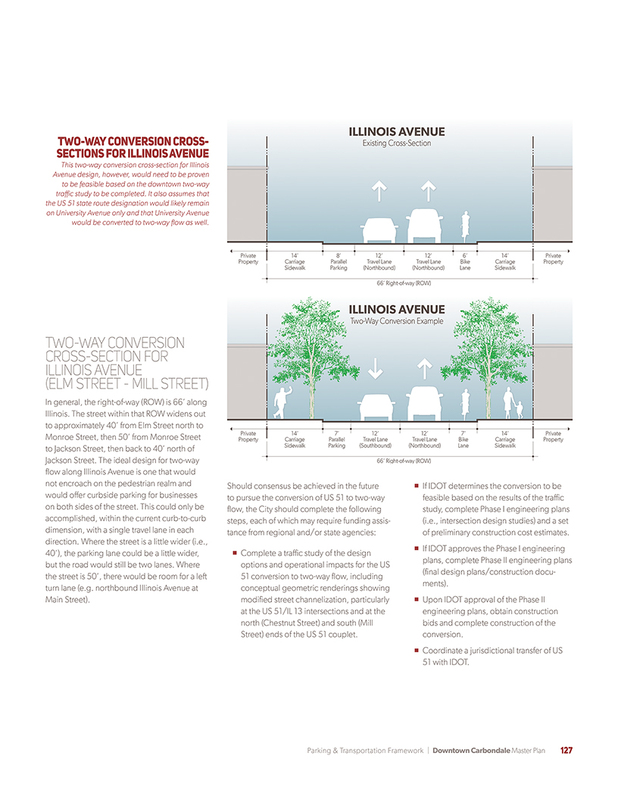 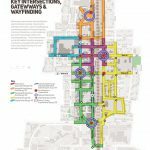 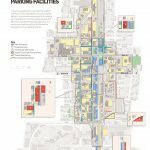 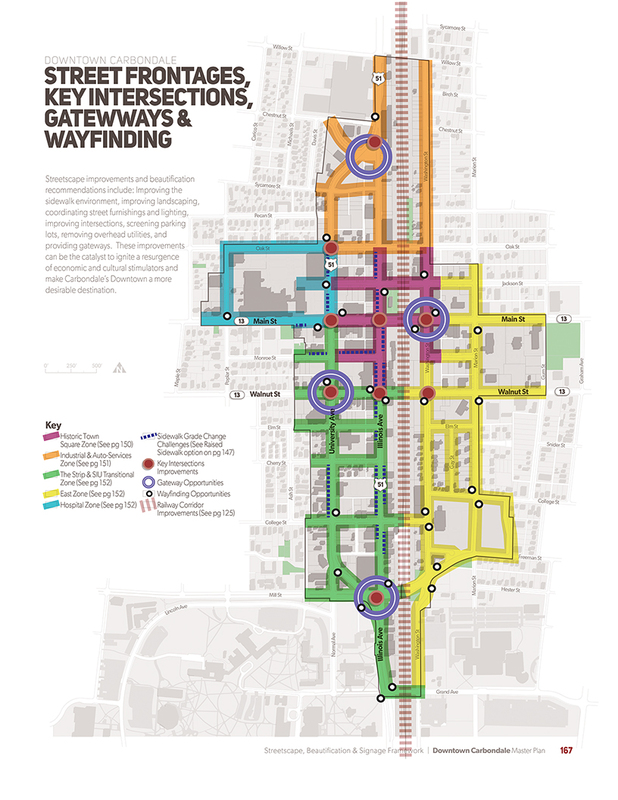 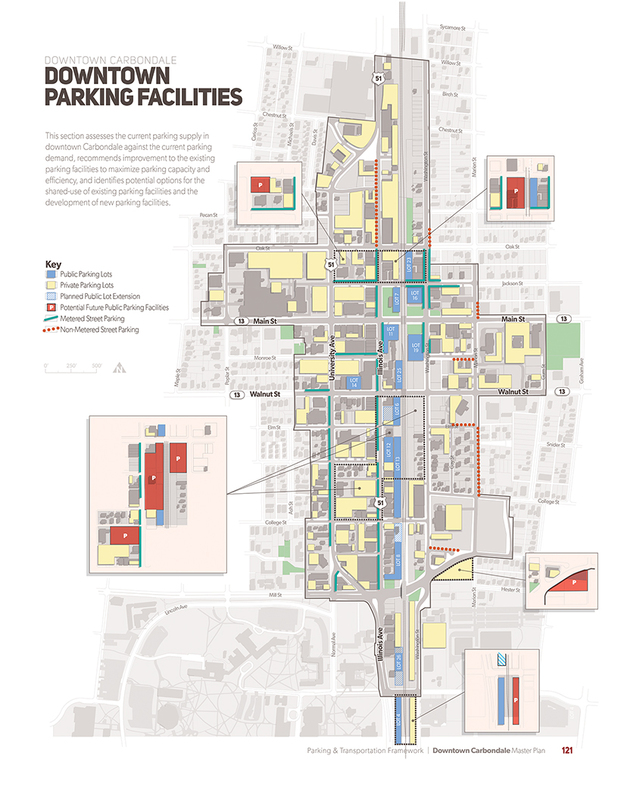 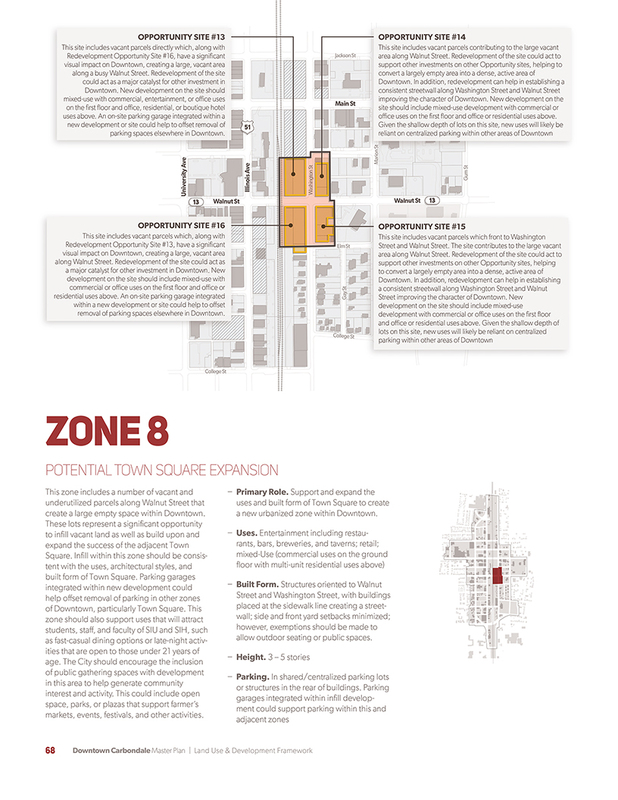 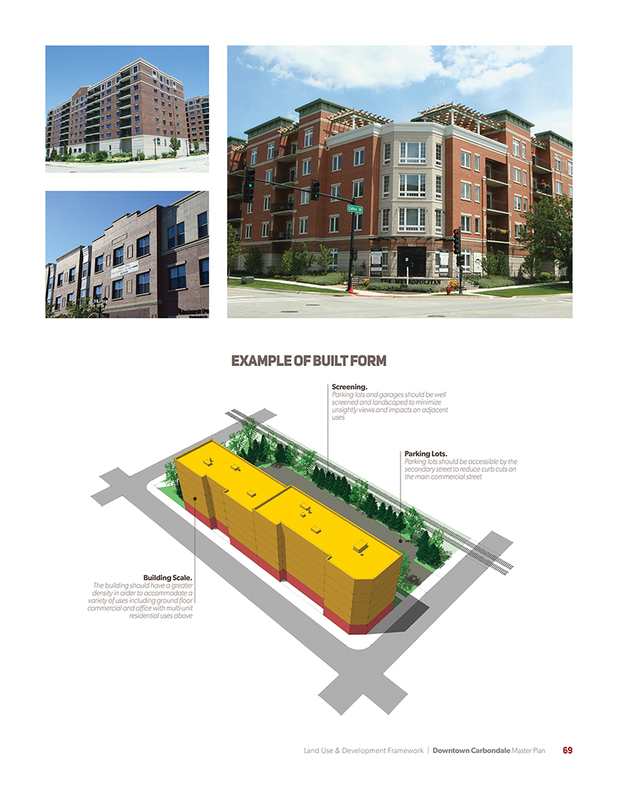 By utilizing detailed maps, 3D models, perspective renderings, and targeted photography of preferred development types, the Plan provides a visual “playbook” for Land Use and Development; Art, Entertainment and Retail; Parking and Transportation; Pedestrian Mobility and Connectivity; and Streetscape, Beautification and Signage. 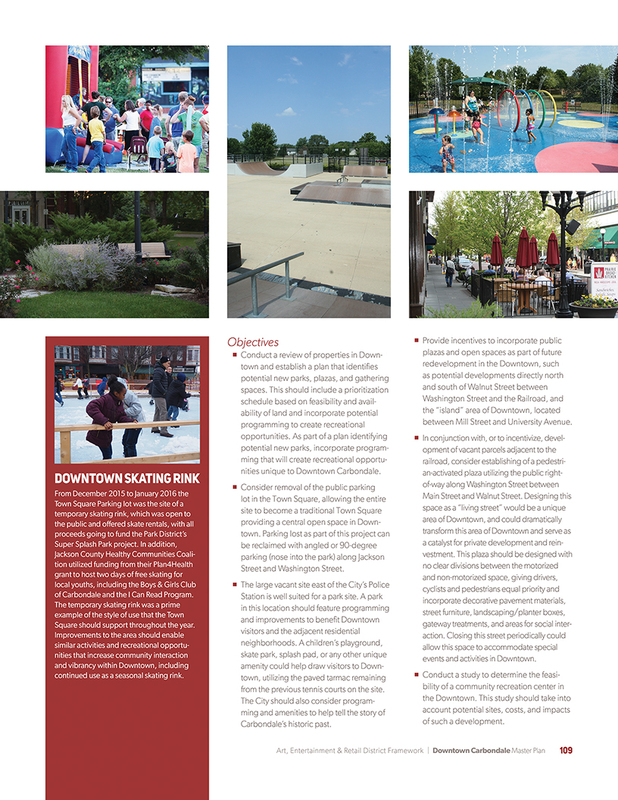 Plan Implementation includes a Downtown Branding and Promotion Strategy and an Implementation Strategy that identifies key actions to be undertaken by the City and key private and public sector stakeholders to achieve the Plan’s vision for Downtown.